3 simple steps to copy DVD to hard drive as ISO files or DVD Folder. Customize copied DVD by chapters/subtitle/audio/real-time preview. Different copy modes for you to select. Additional tools to create DVD and Photo Slideshow easily. Troubled with too many DVD collections and have no space to store, why not consider that copy DVD to hard drive to save space and easy to manage? Hard drive now always has a large space to save files, and it provides a platform that you can sort your DVD files easily on Windows or Mac. Or maybe you have the idea to save them to a hard drive but can't access it by direct copying without any help of professional tools. Here we'll introduce you Wondershare DVD Creator, the all-in-one DVD copy software, and teach you how to copy DVD to hard drive within 3 simple steps. Part 1. Why Can't We Copy DVD to Hard Drive Directly? We face many problems while copying a DVD to a hard drive, there are many various types of the reason that we can’t copy DVD directly to the hard drive. Here lists some common reasons that you can check yourself when you're trying to copy DVD to hard drive on Windows 7/8/10 or Mac. Firmware Faults: One of the basic reasons is firmware or manufacturer faults, in most of the times a hard disk is not detected by a different computer system. Sometimes it fails to boot while the booting system is in the processor in the middle of the process. Basically, these errors only occur in a new hard disk because the manufacturer is not tested that hard disk before providing it to the customer. Heat: If the hard disc is connected with a laptop or PC, then they should have the proper ventilation of air. The improper ventilation of laptop or PC fans may lead to a hard drive crash. This is because that fan is slow or not working properly. If your PC is getting heated after a little time after starting then it will give an error to copy a DVD to hard drive. Mechanical Failure: When the hard disk is providing clicking or grinding sounds when it is the symptoms of crashing the hard disk. Whenever you try to copy DVD to the hard drive, then you will face the problems like files and folders are becoming invisible in the PC. And whenever you start the process you will see a black screen in the middle of the copying process. Corrupted Files: The main reason is most of the DVD has scratched, and then it becomes very difficult to copy the DVD content to hard drives. The system will not allow the important files to be copied because it must be damaged or corrupted. Sometimes the power failure will also become the reason for corrupted files. In many countries, the Copyright Law protects the rights and benefits of the DVD maker. So there maybe legal problem if your copy DVD for any commercial purpose. Usually, it is OK to copy DVD for the personal purpose or own the copyright of it. On the internet, there are various types of tools and software which helps in copying the DVD to hard drive. Wondershare DVD Creator is one of most popular software, many users use this software because of its effective working. It provides functions like making photo slideshow, editing videos, one-click to burn DVD or Blu-ray disc, and others. With the use of Wondershare DVD creator, you can easily copy DVD to external hard drive in very easy steps. 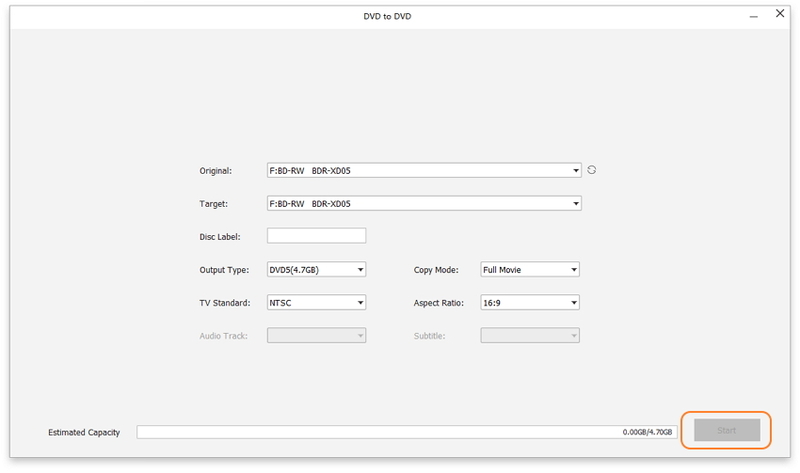 · Copy DVD to hard drive on Windows/Mac within 3 simple steps. · Copy DVD to DVD/DVD Folder/ISO files and export with DVD-5/DVD-9 output type. 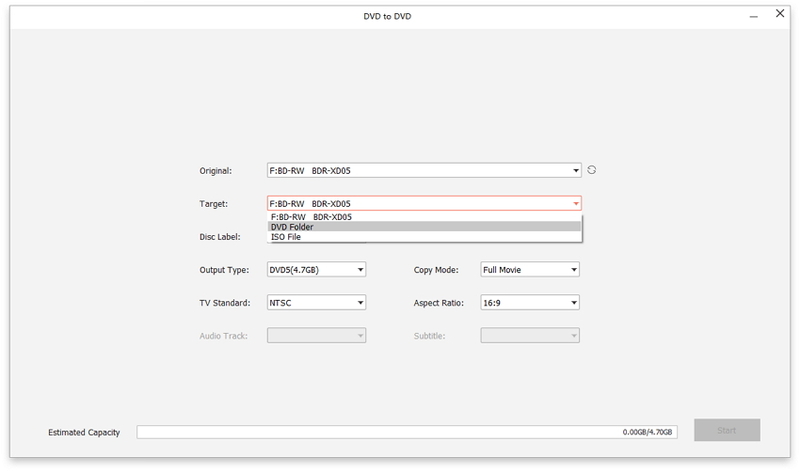 · Customize DVD content by removing unlike parts, adding subtitle, choosing audio, and others. 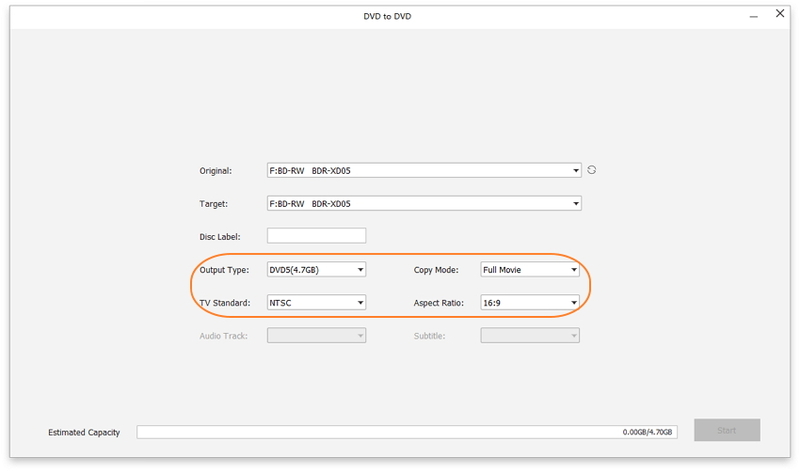 · Choose DVD copy modes from Full Movie, Main Movie with menu, Main Movie without menu, and Custom Mode. · More functions like Photo Slideshow Maker, One-click burning DVD/Blu-ray disc, Video Editor, Convert DVD to video, etc. Watch Video Tutorial of How to Copy DVD to Hard Drive on Windows with Wondershare DVD Creator. Download and install Wondershare DVD Creator first, open it and click the More DVD Tools button to choose functions. You can see a various type of tools displayed on the interface, choose DVD to DVD option to start copying DVD to hard drive. Insert the DVD you want to copy from into your computer and choose it as the Source DVD. Then connect your hard drive to the computer and choose it as the Target device, you can also save your DVD as ISO files or DVD Folder as you wish. Next, select other settings such as Output type, Copy mode, and Disc label for your DVD to hard drive device. 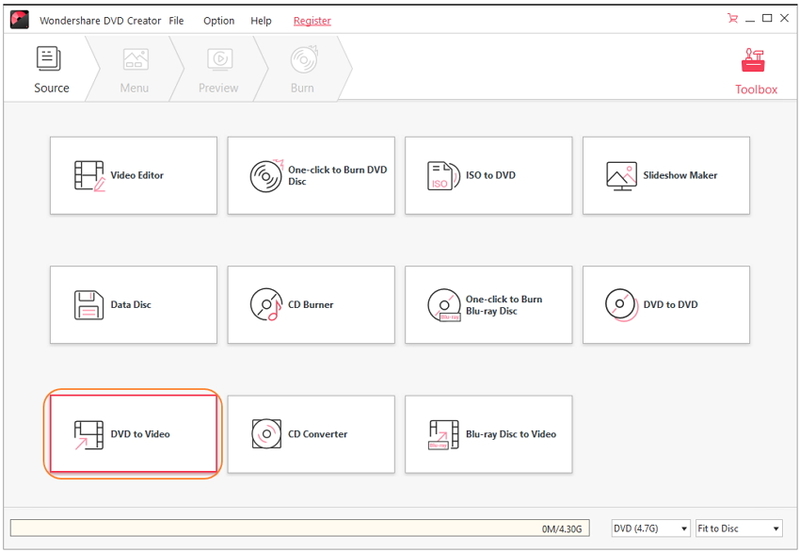 Wondershare DVD Creator provides you Custom Mode to make customization by cutting unlike parts, adding subtitles, choosing audio, and others. Click the More Information button to open the customization window, and preview what you have created from here. When all settings and creations have finished, finally click on the Start button to initiate the process of copying your DVD to hard drive quickly. With Wondershare DVD Creator, you can copy your DVD to hard drive within 3 steps and takes just several minutes, which will help you save a lot of space and sort them quickly.